SkyWest, Inc., Lattice Semiconductor, Blue Buffalo Pet Products Inc: Why Are These Stocks Flying High Today? 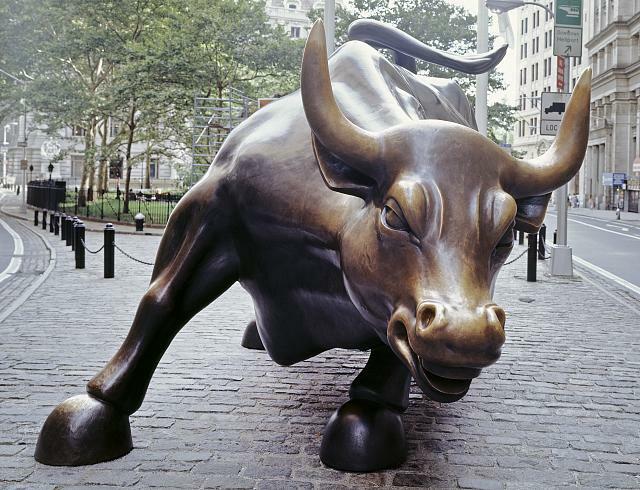 At a time when the S&P 500 is flat and the NASDAQ is up by 0.14%, SkyWest, Inc. (NASDAQ:SKYW), Lattice Semiconductor (NASDAQ:LSCC), and Blue Buffalo Pet Products Inc (NASDAQ:BUFF) are soaring. With an eye toward fundamentals, let’s take a deeper look at the three green stocks, examine their upside catalysts, and see if the smart money agrees with the market on any of them. We pay attention to hedge funds’ moves because our research has shown that hedge funds are extremely talented at picking stocks on the long side of their portfolios. It is true that hedge fund investors have been underperforming the market in recent years. However, this was mainly because hedge funds’ short stock picks lost a ton of money during the bull market that started in March 2009. Hedge fund investors also paid an arm and a leg for the services that they received. We have been tracking the performance of hedge funds’ 15 most popular small-cap stock picks in real time since the end of August 2012. These stocks have returned 102% druing the three years since launch of our strategy and outperformed the S&P 500 Index by around 53 percentage points (see the details here). That’s why we believe it is important to pay attention to hedge fund sentiment; we also don’t like paying huge fees. Shares of SkyWest, Inc. (NASDAQ:SKYW) are up 9.5% on strong volume as investors become more bullish on the company’s prospects. The regional airline soundly beat analyst earnings and revenue expectations in the second quarter as a strong economy and low fuel prices boosted earnings. With shares up more than 42% year to date, investors are expecting good numbers for SkyWest’s third quarter earnings as well. Our data shows the smart money is bullish on SkyWest, Inc. (NASDAQ:SKYW). Out of our extensive database of around 730 elite funds, 11 funds were long $81.55 million (representing 10.5% of the float) at the end of June, up from 15 funds that were long $62.8 million at the end of March. David Iben‘s Kopernik Global Investors increased its position by 32% to 4.03 million shares, good for 12.01% of his portfolio. Shares of Lattice Semiconductor (NASDAQ:LSCC) are up 5.6% in afternoon trading as investors warm up to the company’s low valuation. Lattice shares trade at just 6.9 times forward earnings estimates and could potentially be a merger candidate given the recent M&A wave in the semiconductor industry. Given a price to book ratio of 1.27, it wouldn’t cost much for a company to merge with Lattice. The industry oversupply concerns could be overblown. Hedge funds are bullish on Lattice Semiconductor (NASDAQ:LSCC). Although the number of funds decreased to 13 at the end of June from 14 at the end of March, the total value of their holdings in the stock increased to $82.79 million (representing 12.00% of the float) from $77.79 million. 6.66% of the float is short. George Soros‘ Soros Fund Management increased its position by 45% to 10.17 million shares while John Overdeck and David Siegel’s Two Sigma Advisors raised its holding by 18% to 852,985 shares.